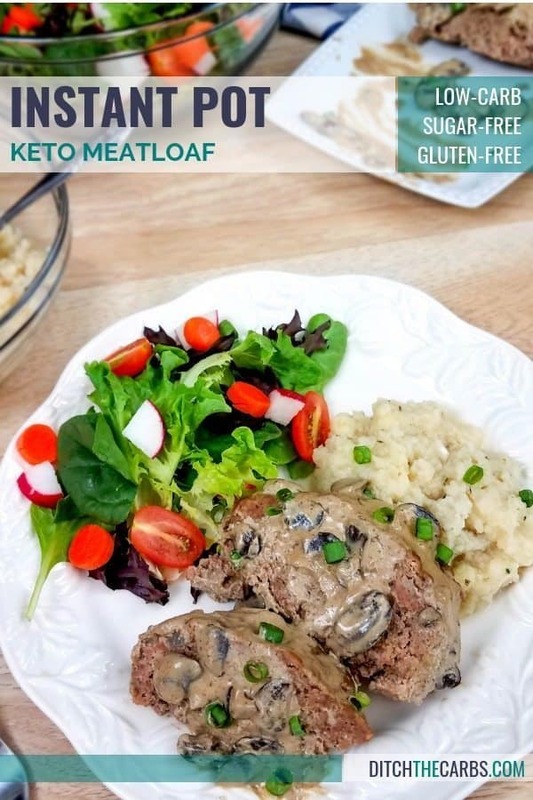 Keto Instant Pot Meatloaf is the perfect twist on a classic comfort food. 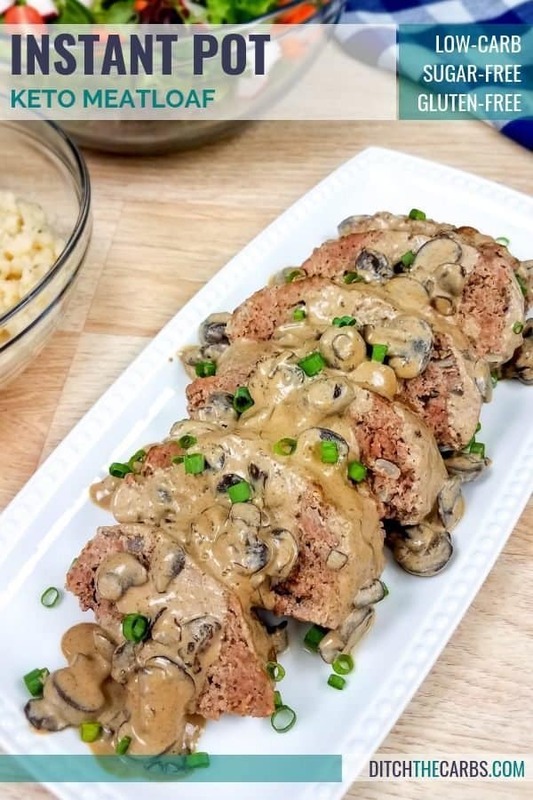 This meatloaf can be thrown together quickly, and the mushroom gravy is made in the same pan which means little cleanup. 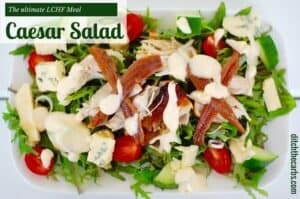 This is the perfect meal idea for busy weeknights, with just 10 minutes of prep time needed. 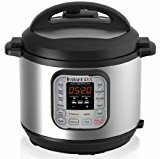 Just watch the quick video to learn how to use the Instant Pot pressure cooker to make the gravy at the same time. 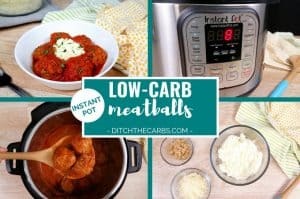 Meatloaf is one of my favourite meals to make in the Instant Pot. 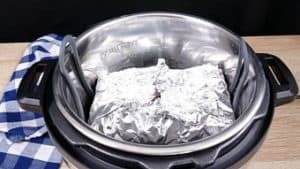 To make a meatloaf in the Instant Pot you must cook it in a foil packet or oven-safe container that will fit inside the Instant Pot. Enough liquid is placed in the Instant Pot to bring it to pressure, then a trivet is placed at the bottom before arranging the meatloaf on the trivet. The space under the trivet is perfect for cooking a side dish or gravy. For this recipe, I made a mushroom gravy underneath the meatloaf, but you could easily cook a vegetable instead of gravy. 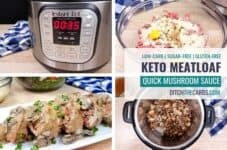 The first step is to make the mushroom gravy in the Instant Pot. Sauté the mushrooms using the sauté function on the Instant Pot. Sautéing the mushrooms is optional, but I have found a few minutes sautéing the mushrooms brings out the flavour. After the mushrooms are sautéed you will mix in some beef broth, coconut aminos, and balsamic vinegar. Place a trivet over the gravy and turn off the Instant Pot while you mix together the meatloaf. Next, combine all the meatloaf ingredients in a large bowl. 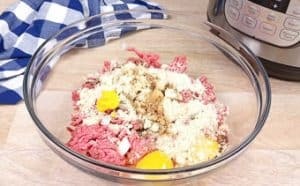 To make the meatloaf keto friendly I have replaced bread crumbs with almond meal. The eggs and almond meal will bind together so the meatloaf stays together. Cut a large piece of aluminium foil to make a foil packet. Form the meat into a meatloaf shape in the center then fold up the size and close the foil packet. Then move the foil packet the rest on the trivet in your Instant Pot. The meatloaf will cook in 35 minutes on manual then release the pressure doing a quick release. I usually use my long-handled trivet so that I can easily lift my meatloaf without burning myself. Let the meatloaf rest for 10 minutes before opening the foil packet and draining any extra juice. Make foil packet and place on trivet. Cook for 35 minutes then quick release. While the meatloaf is resting it is time to finish the gravy. This mushroom gravy is cream based. So it is thickened using sour cream and the art of reduction. Turn the Instant Pot back to sauté mode and mix in the sour cream. Continue to mix the gravy for 5-10 minutes until the liquid has reduced about 1/3 of the way. You will yield about 1 cup of mushroom gravy. You have a lot of control with this mushroom gravy. The longer you allow the liquid to reduce the thicker the gravy will be. For a thinner gravy reduce for closer to five or six minutes. For a thick gravy let the sauce reduce for 10, maybe even 12 minutes. Finally turn the Instant Pot off. The gravy can be spooned over the meatloaf before or after slicing. 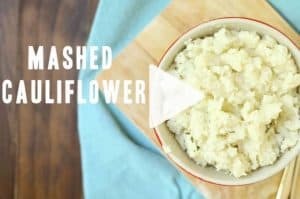 If you are missing the mashed potatoes with your meatloaf try this awesome recipe for mashed cauliflower. It is so easy and goes wonderfully with the gravy. 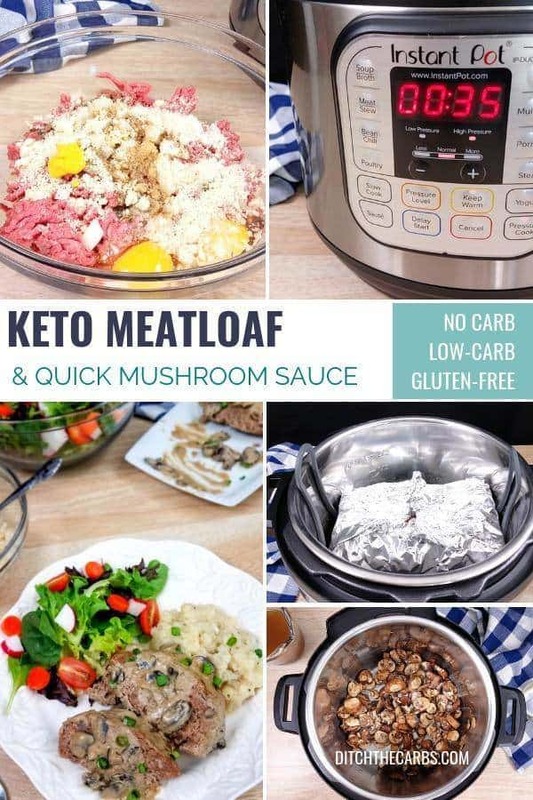 The perfect quick and easy healthy family meal - Keto Instant Pot Meatloaf with a quick and easy creamy mushroom sauce. Turn the Instant Pot to saute mode. Add the olive oil to the Instant Pot. When the oil is hot, add the mushrooms and salt. Sauté for 2-3 minutes. The salt will help the mushroom breakdown and soften. Add the balsamic vinegar, coconut aminos, and beef broth. 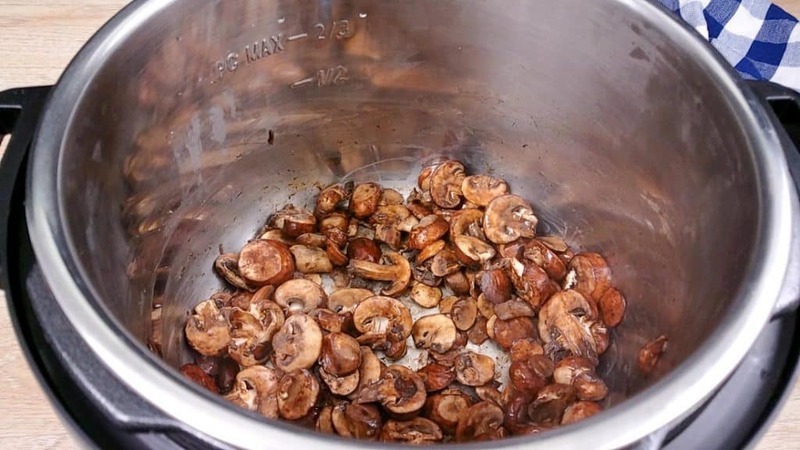 Give it a quick stir, then turn off the Instant Pot and place a trivet over the mushrooms. 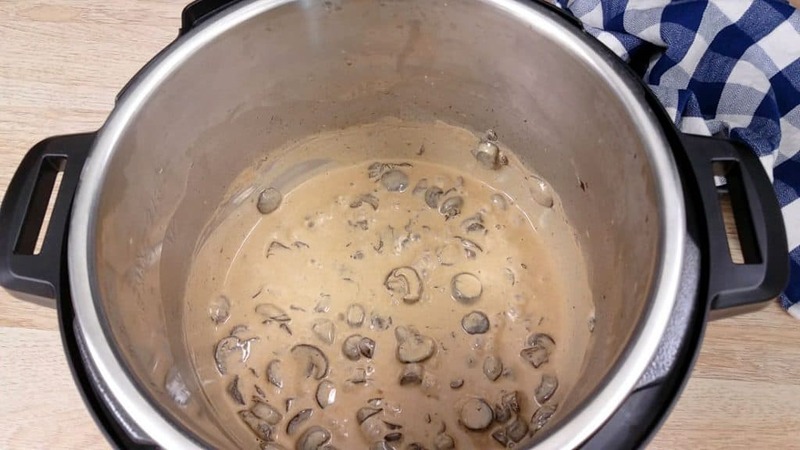 Be sure to turn off the Instant Pot or all your gravy will evaporate. In a large bowl mix together all the ingredients for the meatloaf. Mix the meatloaf until the eggs are thoroughly mixed in. Cut a large piece of aluminium foil. Place the meatloaf mixture in the centre of the aluminium foil. Then shape the meat into the form of a meatloaf that will fix inside of the Instant Pot. Fold the side of the foil up and seal it at the top to form a foil packet. Place the foil packet on the trivet in the Instant Pot. Close the lid then turn the pressure valve to point toward sealing. Cook the meatloaf on high pressure using the "manual" or "pressure cook" function for 35 minutes. Release the pressure quickly by using the back of a spoon to turn the pressure release valve to point toward "open". 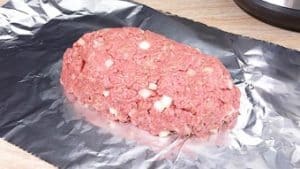 Remove the meatloaf from the Instant Pot and set aside to rest for at least 10 minutes before opening the packet and draining any excess liquid from the packet. While the meatloaf is resting turn the Instant Pot back to saute mode. Mix the sour cream into the mushroom gravy. Continue to mix the gravy until the liquid has reduced about 1/3 of the way and the gravy has thickened. You will yield about 1 cup gravy. 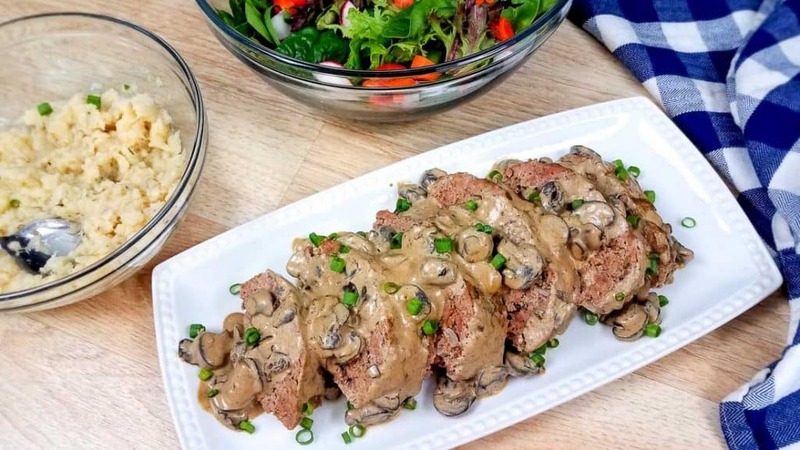 Serve the meatloaf topped with the mushroom gravy and a side of mashed cauliflower or salad. Garnish is green onions or fresh parsley. For a thicker gravy - continue to reduce the liquid until the desired consistency. Balsamic vinegar does contain a small number of carbs, but only 3g per tbsp. You may want to use regular white vinegar but may need to add a pinch of sweetener to the sauce so it isn't so acidic tasting. I just got an instant pot, and this is the first thing I cooked in it. It was delicious! I don’t have an instand Pot. 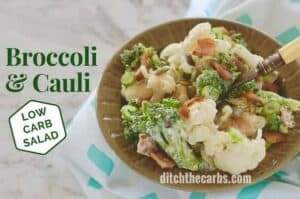 How long can I cook this in the oven instead? I have another recipe for bacon wrapped meatloaf baked in the oven, you can see it here. Alternatively, you may bake this meatloaf in the oven for 40 minutes at 180C/350F or until cooked in the centre. Cooking times will depend on the size of the cooking dish used. Would ACV work? It is lighter and slight sweetness. If I don’t have mushrooms to make the liquid for the bottom of the instapot- how much water should I add? You could use some beef stock instead. That would add flavour and create the beginning of the gravy. This looks so yummy! Never thought to make meatloaf in my IP. Thank you! 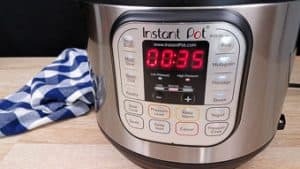 Where did you get your Instant Pot? I am unable to source one in Australia, and knowing you are in New Zealand, you might have some suggestions. Mine is a Russell Hobbs one. I’m pretty sure this is the model I have. My amazing video woman is in the US, which is why you can see the Instant Pot brand on the cooking videos.